KGNU radio station has been on the air in Colorado since the early 1970’s. Dave Ashton has graced those airwaves for the past 12 years. Originally from Indiana, Ashton got into music as a child. He saved up to buy his first record of Grandmaster Flash at eight years old. His parents, being a librarian and a school teacher, both encouraged his interest in hip hop and lyrical rap because of the fascination for word play. Ashton moved to Colorado in grade school, attended college in St. Paul, MN., then worked at Think Skateboards in San Francisco and a hot dog stand in Chicago. After all the traveling he decided he wanted to settle down back in the place he calls home, Colorado. He worked with nonprofits and bounced around doing different jobs until 2005 when he found KGNU radio. “I had been collecting records forever, like it was my dirty little secret. When everyone was blowing their money on big gulps and booze I was bopping around town searching for records. So eventually, KGNU became the outlet for that guilty pleasure.” Ashton said. He started at the radio station as a volunteer and soon began DJing for the show Restless Mornings, which aired from 3 a.m. to 6 a.m. Next, he became a resident DJ on the Eclipse radio show as DJ Deeprawk Dave. Now, Ashton holds the title of Denver Program Manager though he is an advocate for changing that name to Denver Goal Keeper. As the goal keeper, he manages the volunteers and radio shows being sent out of the Denver location. He hopes that maintaining the Denver location will help highlight the voices of the community and provide all people access to airwaves. 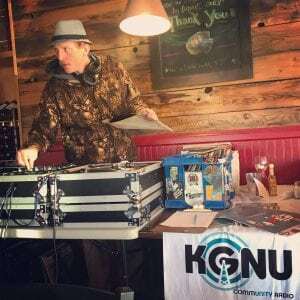 Though KGNU is Ashton’s main job, his true devotions are music and connecting with people of the city. One of the ways he is able to intertwine those passions is through his hip hop group, the Council of Word. He and his current partner, Danny One Shoe, have put out a handful of singles and two albums. They are currently working to finish their third album, Indignorance, by the end of the year. The album follows an early 2000’s style mixtape with multiple samples and scratches to set the tone. Beyond the beat, it could be considered conscious or activism rap with a splash of getting down. Ashton believes that even though the music scene of Denver is ever changing, swaying good and bad, he will always try to activate positive energy and constant elevation towards the city. “Now in Denver hip hop the mystery has kind of been taken out of it. People aren’t addressing it with the same laser focus that it takes to burn through what’s in people’s way, and there’s a lot of stuff in their way.” Ashton said. His main concern for the music scene in Denver is that the youth aren’t getting the music education they should have access to equally. In the early 90’s, when Ashton was coming up in the scene, there weren’t many programs like school of rock or guitar center classes. Today, Ashton believes, there isn’t an emphasis to have a public budget for music programs in schools. Though he will remain true to building Denver up, he does have observations about the changes in the city. In one of his songs, he weaves a story of a man collecting scrap metal from developing areas for money. He believes that that man could represent a positive or a negative for the city and the opposing views on displacement and gentrification. Out of the many things that Dave Ashton is truly passionate about, music is clearly at the top of the list. 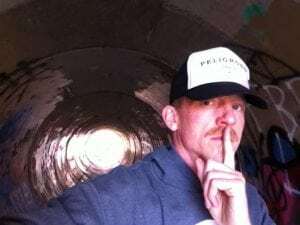 Get him on the topic of Denver musicians he already has Wheelchair Sports Camp, Mike Wird, Smiley Gatmouth and more on the tip of his tongue. Currently, he is working to showcase the artist Slim Pick Ends on stages around the city and has an upcoming show with him at Temple Tantrum. Some other events he is excited for this summer are Reggae on the grass on Jul. 29 at Levitt Pavilion and the Colorado Black Arts Festival in Denver’s City Park West Jul. 13-15.There will also be plenty of upcoming events KGNU throughout the summer.